Have you ever felt afraid to do something? Maybe it felt too big and you knew you couldn’t overcome the obstacle. And so you asked God to make it smaller. Sweet friend, I know the feeling. Countless times I have asked God to make it smaller. 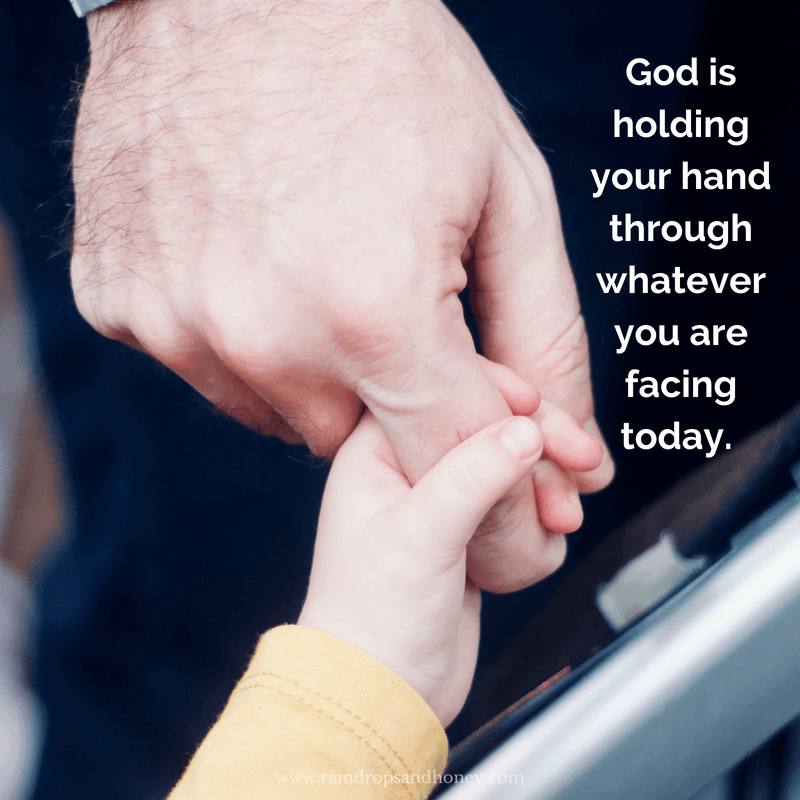 In today’s post, I am going to share a story about my son Caleb and how God used it to teach me about the times when I feel afraid. After Jonathan told Caleb he would make the ladder taller, Caleb said a firm “No!” Jonathan encouraged Caleb to go up the ladder and cheered him on. He also told Caleb that he would go with him. Caleb started to climb and went to the top. Immediately the fear returned. He didn’t want to go across and over. Jonathan encouraged Caleb “When you get over, you’ll feel proud and brave. Spin your body so you can go over.” Instead of going over, Caleb started to climb back down. Jonathan asked him why he was coming back down. Caleb replied, “I thought I was going to fall.” Jonathan encouraged Caleb to tell himself that he will go over the ladder and it will be cool. Caleb grabbed his Daddy’s hand and climbed over that ladder. His chest puffed as he ran away in excitement. Less than a minute later, he was back climbing the ladder again. I love how this story is a picture of our heavenly Daddy. As I watched this all unfold, the Holy Spirit whispered into my heart about trusting Him. I am a lot like Caleb because I feel afraid to climb the “ladders” in life. I want to give up and just come down. But, when I do that I miss out on so much. Instead, I need to remember the three truths of today’s key verse. First, God is with us. Second, He doesn’t want us to be afraid and lastly, God will help us. God is right there cheering us on to climb higher in life through the obstacles that stand in our way. What a promise that the God of the universe is with us! Secondly, God doesn’t want us to be afraid. But, how often do we climb back down because it’s too hard or we are fearful of what is on the other side? At this point, we need to lean into the Holy Spirit and hear His voice encouraging us to speak the truth over the situation. To tell ourselves we can get through and over the ladder. And lastly, we must remember that God will help us. Do you remember when Jonathan told Caleb to take his hand? Sweet friends, God says the same thing to us in our verse for today. In July, I presented a book idea to two agents. I poured so much into the book proposal. I walked away with great feedback on what to do to make my book proposal better. Though it was a great experience, I wrestled with doubts and fears. Would I ever make it in the publishing world? Did I hear God right? Am I supposed to keep writing? I was afraid to climb over this ladder in life. It was time to make a choice. Would I come back down the ladder or take God’s hand and climb over? I chose to walk through my doubts and fears by climbing up. Sweet friend, where in life are you afraid to climb? What is holding you back from climbing over the top of the ladder? Let the Holy Spirit speak into your heart about those areas. And once you realize the area, I encourage you to take your Heavenly Daddy’s hand. Instead of asking God to make the ladder smaller, start climbing. He won’t let you fall. God will be with you every step.